First Constitution of Belize and possibly the world that was signed by at least two women! We the Inhabitants of the Bay of Honduras whose names are hereunto subscribed, Do by and with the consent of the whole, agree from and after the date hereof to bind ourselves to the strict performance of the Articles and Regulations hereafter mentioned under the penalties and Restrictions therein expressed, and Do further bind ourselves, our Heirs, Executors, Administrators and Assigns to pay the several Fines, Penalties, and Forfeitures hereafter mentioned on the breach of any of the said Articles, which sums when received are to be appropriated for the use and benefit of the then Inhabitants of the Bay in such manner and such proportion as shall be agreed on by such a number of the principal Inhabitants not exceeding seven, nor less than five as shall be chosen by the Majority of voices of the Inhabitants then and there present, two of which are to be Justices. FIRST, it is hereby agreed by and with the consent of the said Inhabitants, that whoever shall be found guilty of profane cursing and swearing in disobedience of God's Commands and the derogation of His Honour, shall on proof on Oath by one Evidence or more before anyone of the said Justices of the Peace, forfeit and pay for every such Offence the sum of Two shillings and six pence Jamaica Currency, or the same value Merchantable unchipt Logwood to be delivered at Cayo Casina(St. George's Caye), to such person or persons as the said Justice shall appoint to receive the same for the use and benefit of the Inhabitants then residing in the Bay. SECOND, That whoever shall be found Guilty of Theft or are proved to be accessory thereto on full conviction on Oath by one credible witness or more at any Quarterly Court held at Kay Casine, (St. George's Caye), or any other place appointed by the Justices to meet at, for the Trial of any offender, shall not only be obliged to make restitution for the full value of the Goods or Effects so stolen but be further subject to such other punishment and penalty as the said Court shall adjudge. THIRD, That any person whatsoever who shall enveigle or cause to run away any Sailor or other person belonging to any Ship or Vessel laying in the Bay of Honduras or shall harbour, entertain, employ or conceal any Sailor or any person whatsoever run away from his proper Ship or Vessel without obtaining a Certificate from the Master of the said Ship or Vessel that he is legally discharged, shall on full proof thereof before any one of the said Justices of the Peace, forfeit Twenty tons merchantable unchipt Logwood to be delivered at Kay Casine (St. George's Caye) to be distributed for the use of the said Inhabitants agreeable to the said Articles and that the Person so running away from the ship or vessel shall be delivered to the nearest Justice of the Peace to be dealt with and punished as the said Justice shall judge his Crime to deserve. FOURTH, And for the better Government of the said Inhabitants, and in order to prevent as much as possible' any disputes or distrubances which may arise therefrom, it is further agreed that no Inhabitant whatsoever do presume to hire any Servant without the person so hired having first entered into agreement in writing with the person who hires him, which agreement is to be signed by both parties mentioning the sum agreed upon and where and in what manner it is to be paid, and in case the party so hired can neither read nor write, the bargain is to be executed before one of the said Justices, which he is to attest. FIFTH, And in case any person whatever shall detain or cause to be, detained any person in quality of a servant (except a Steersman) and that only for a single Trip without a written agreement as mentioned in the former Article, shall forfeit on full proof being first made before one of the said Justices on Oath of one or more credible witnesses, Ten tons of Merchantable unchipt Logwood to be paid and delivered to Kay Casine (St. George's Caye)- aforesaid to such person or persons as the said Justice shall appoint to receive the same and to be distributed agreeable to the tenor of these Articles. SIXTH, All Taxes which shall be thought necessary to be laid on the Inhabitants of the Bay for the use and benefit of the said Inhabitants and Settlers shall be determined and laid on the said Inhabitants by two of the Justices and five of the principal Inhabitants so residing in the Bay of Honduras, to be made choice of by the majority of the voices of the Inhabitants then residing in the said Bay, and when such Taxes are ordered to be laid and collected by the Authority aforesaid, It is further agreed, that any person whatever refusing (when ordered to be collected) to pay the same, shall forfeit Ten tons Merchantable unchipt Logwood to be paid and delivered at Kay Casine (St. George's Caye), and to be disposed of in the like manner as other Fines are agreed on by these Articles, and the non-payment thereof to be excluded the benefit of any advantage arising from the Fines and Forfeitures hereinbefore mentioned, and intended for the use and benefit of the Inhabitants. Inhabitants of the Bay, at such times and places as shall be hereafter mentioned; at Kay Casine (St. George's Caye) one every three months. And in order that Justice may be the more impartially administered, we do further agree that a Jury of thirteen good and lawful Subjects, Housekeepers of the Bay be chosen by the majority of the voices of the Inhabitants of the Bay then and there present to assist the said Justices in the execution of their office, whose determination shall be final. And in case any person whatsoever shall refuse to comply with the sentence of the Court after it is passed on them, it is further agreed by and with the consent of the said Inhabitants, that the Justices shall have full power to seize their property wheresoever it is to be found of any kind whatsoever, and appropriate agreeable to the sentence of the Court. EIGHTH, And whereas no Laws nor agreements can be of force without a proper Authority to execute and enforce the same, It is further agreed by and with the consent of the Inhabitants of the Bay that the Commanding Officer for the time being of any of His Majesty's Ships of War which may be sent hither, shall have the full power, and it is hereby requested, to enforce and put into execution all such Laws and Regulations which we have agreed to or shall hereafter agree to by the majority of the voices of the Inhabitants of the Bay either in regard to the determination of any disputes which may arise amongst the said Inhabitants, whether. in respect of Property, Fines, Forfeitures, Penalties or Punishments which shall be ordered to be forfeited, paid or inflicted, by the Justices and Jury after, a full hearing and final determination of the said Court, and the said Commanding Officer shall have full power in case the Party or Parties non-compliance with the sentence passed on said Inhabitant to seize and appropriate his or their property agreeable to the sentence passed on any Person whatsoever, Inhabitant of the Bay by the said Court of Justice. NINTH, Be it further agreed by and with the consent of the Inhabitants of the Bay, that any disputes that may hereafter arise amongst the Inhabitants of the Bay, not mentioned in these Regulations shall be referred to two of the Justices and five of the principal Inhabitants of the Bay, one of the Inhabitants to be chosen by the said Justices, and the other four by the Parties, the majority of these seven to determine, and their determination to be final. TENTH, All Crimes and Misdemeanors committed by the Inhabitants of the Bay which are not mentioned in these Regulations, and for which by these Articles of Agreement no, punishment is provided, shall be punished according to the Custom of the Bay in Like Cases. ELEVENTH, And Whereas it may be thought necessary hereafter for the better Government of the Inhabitants of the Bay, to form Laws and Regulations for the happiness of the People thereon residing, it is hereby further agreed, and we do hereby agree by and with the consent of the whole of the Inhabitants to abide by and to obey all such Laws and Regulations as shall hereafter be made by the Justices of the Bay in full Council, those Laws and Regulations being first approved of by the majority of the Inhabitants of the Bay and to forfeit and pay all such Fines, Penalties, and Forfeitures as shall be determined and agreed on by the said Laws and Regulations. TWELFTH, It is hereby further agreed by and with the consent of the Inhabitants of the Bay that if any person presuming to seize by force or take away clandestinely or by any means whatsoever any Property, be it either Crafts, Slaves, Logwood, Mahogany or any Effects whatsoever belonging to any Inhabitant of the Bay for debt or under any pretence whatsoever, before first laying his complaint before anyone of the said Justices for redress in any grievance or complaint whatsoever shall forfeit the debt, and be further punished for said Offence as the Justice shall judge the Party offending to deserve agreeable to the tenor of these Regulations. 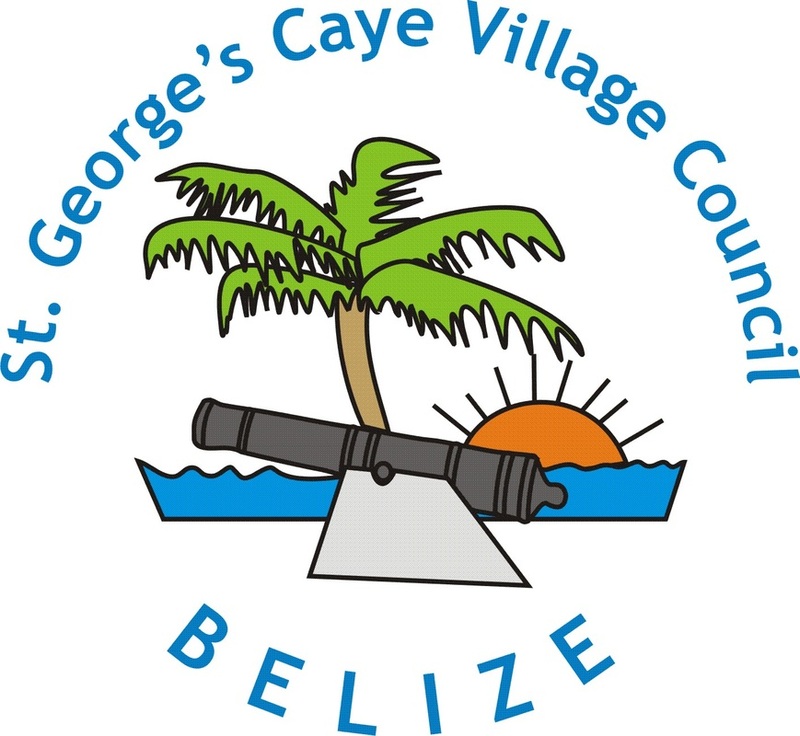 Given under our Hands and Seals at (St. George's Caye) this ninth day of April one thousand seven hundred and sixty-five. [Following is an alphabetical list of those who signed Burnaby's Code on the 9th April, 1765 at St. George's Caye. The list is found in Burdon's Archives of British Honduras on page 106. Students of Belize history should remark on the number of family names still in existence here today.